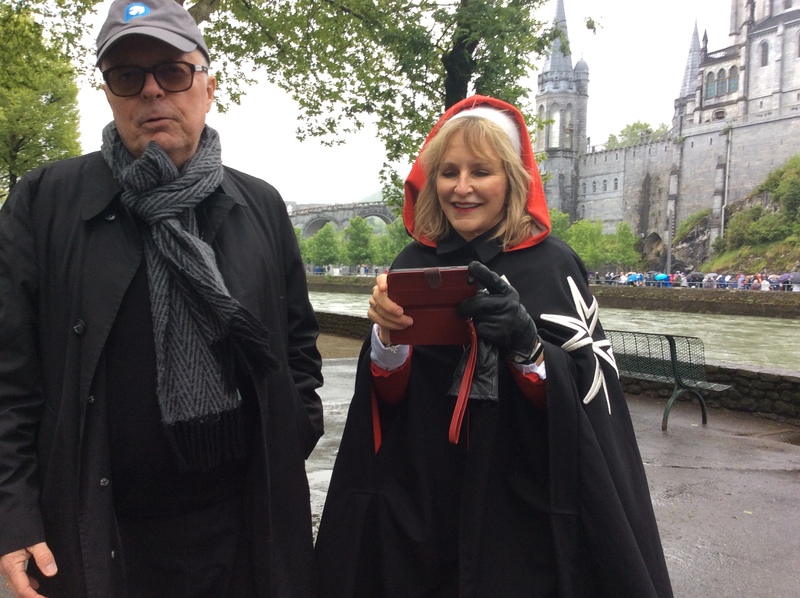 May 2018 at Lourdes. Padre Tomas with one of the Dames from Order of Malta. My Rebecca came home from the local library with a film that we actually finally got to watch last evening. A lot of evenings I am too exhausted to last a full length movie. But I made it through this one easily maybe because it was such a quirky one and successfully kept my interest. And then another sign of a good movie is how much are you still thinking of it the next day. This one is entitled The Orange Thief, A juicy tale from the mountains of Sicily. You will have to see it sometime. And I got finished with my book on the history of the Templars by Dan Jones. That is highly recommended although hard to read at times. I have done a lot of reading on the Hospitallers, the Knights of Malta and now the Order of Malta. They were parallel orders and both started with the goal of keeping Jerusalem open for pilgrims. And the Order of Malta is still around after 900 years. They took me to Lourdes last year on that pilgrimage in May which was a memorable experience. And also one of our very own Caminoheads Jessika is working on entering the order as we speak. So they are keeping it going. Super Bowl weekend coming up. Beer and Buffalo Wings on the menu. Looking forward to have someone beat New England one of these years, you know what I mean. OK, lunchtime here at the hospital. See you all tomorrow. Only the best loves, Felipé.